So you want to learn Portuguese? Determination. 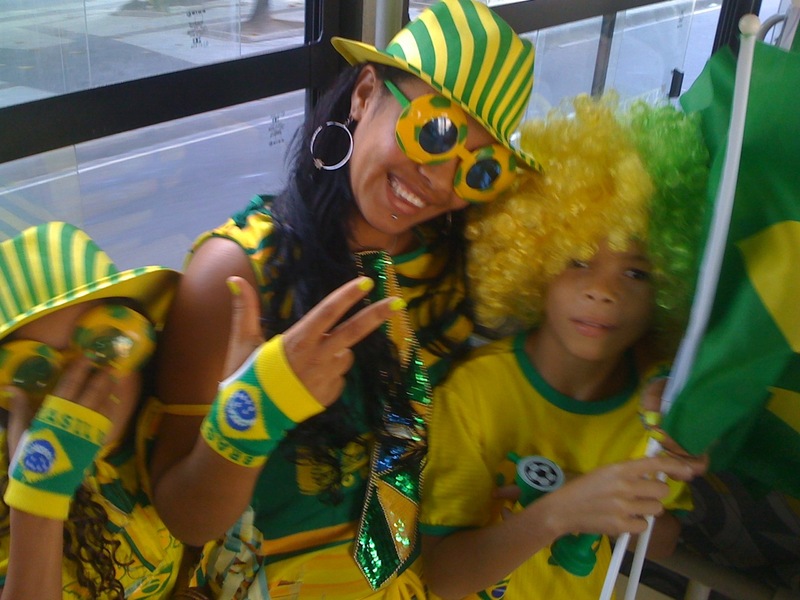 Before I arrived in Brazil in the Spring of 2010, I decided I would learn Portuguese. This changed my mindset for the trip, and I started to look for Portuguese language before I left. Just make up your mind that you will learn. Music. I love Brazilian music (who doesn’t? ), and I downloaded a few albums to start bobbing my head to while still in the States commuting to my job and back. I later found this website: http://letras.terra.com.br/that has excellent translation, and usually a linked video though it may not play in all countries depending the DRM. iPhone/iPod Touch. Any touch screen device with iOS or Android will do, but this is one of the primary tools I use dozens of times a day. Further below is a list of podcasts and apps I use/used below. This is a HUGE resource you must use. If you don’t have a fancy device, at least download some of the (free) podcasts. Movies and television. This one is kind of a no-brainer, but watching Brazilian movies with English (at first) and Portuguese (later) subtitles greatly speeds up learning. I loved A Mulher Invisível, and Tropa de Elite (1 and 2) has much acclaim over here as well. Brazilians! Last ingredient in the mix is of course the wonderful people of Brazil. You’ll never meet a more affable and inclusive crowd who will go out of their way to be helpful and hospitable. Don’t just hang out with your gringo friends! I see this frequently in hostels and think it’s really too bad. Meeting a Brazilian girlfriend/boyfriend can be a tremendous help as well, as long as they don’t speak too much English of course. So let’s chat some more about the iOS apps and podcasts out there. The Podcasts work on any mp3 player. I’m not sure if the apps are available on Android as well. Podcast “Ta Falado”. This podcast is published by a professor of Portuguese at the University of Texas, Austin, and I think is extremely well done. It is titled as a Portuguese lessons for Spanish speakers, but even if you don’t have much Spanish this podcast will help you (and maybe you’ll learn some Spanish at the same time). it’s the only podcast I can recommend strongly. There are others out there, but they are usually to short, and spend half the podcast with some introduction you don’t care about promoting their website. App “Portuguese-English Dictionary by Ultralingua”. I actually wish I could recommend a different dictionary app like those by French publisher LaRousse which are excellent, but Ultralingua is in fact the best one out there, and they know it allowing them to charge $20 for this app (Larousse does not currently publish a pt-en dictionary though they have a pt-fr one). Of course you probably wouldn’t hesitate twice in the bookstore to spend that kind of money, so get it if you’re serious about learning Portuguese. The fact that you will always have your phone on you, means you also have a dictionary and full verb conjugations in your pocket at all times. This is a very powerful tool and a must-have! App “Byki Brazilian Portuguese”. This is a great app to get you going even back in the homeland with all kinds of survival phrases and words with pronunciation and flashcard test. This app really shows how language learning has changed through touch devices. It’s like a mini rosetta stone for much less money. App “Amazon Kindle”. I haven’t switched to iBooks, and they may offer this feature as well: Whenever you’re reading a book in the kindle app, if you hold down on the word, the app flashes a quick dictionary definition without editing the book. Here’s the kicker…it also does this with books in Portuguese! This is huge. Once you are at a level when you want to try to read a book in portuguese being able to look up words greatly reduces the pain of learning. Hope that helps — comment with any questions and boa sorte!